The makers of Baahubali The Conclusion are very happy and excited about the climax shoot of the film. Finally, they started the shoot today morning and the film unit at the end of the day has revealed a picture from the film sets of Baahubali 2. “Fantastic first day at war. Months of planning helped everything roll out smoothly. Jai Mahishmathi..! 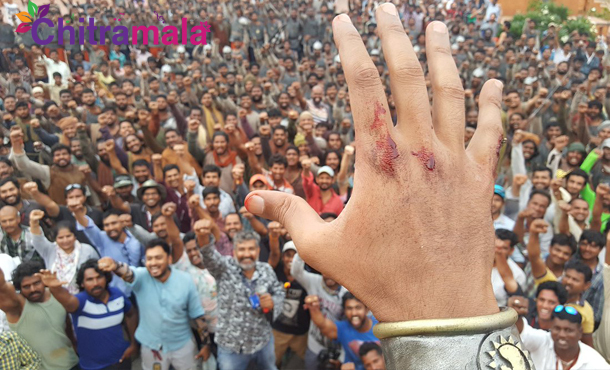 !” tweeted Rajamouli, the director of the film along with adding a picture where a hand is shown waving to the people (cast and crew). 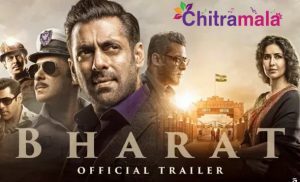 It is an interesting promotional material for the film as everyone is discussing about this climax shoot. Finally, they have started it smoothly, and it will progress for a long time, and the makers are expecting a smooth schedule without any hurdles. Months of planning helped everything roll out smoothly..
Baahubali The Conclusion will release on 14th April 2017.